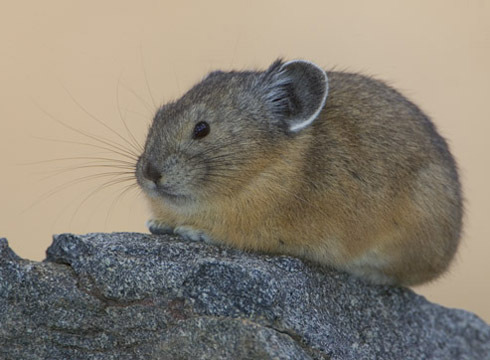 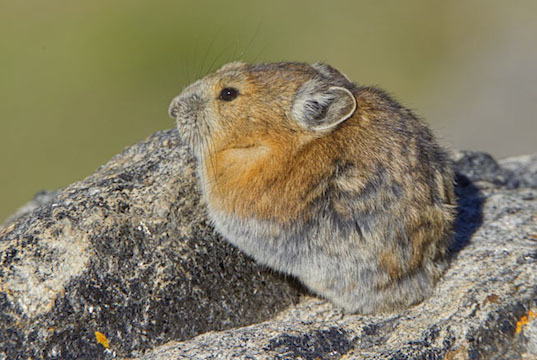 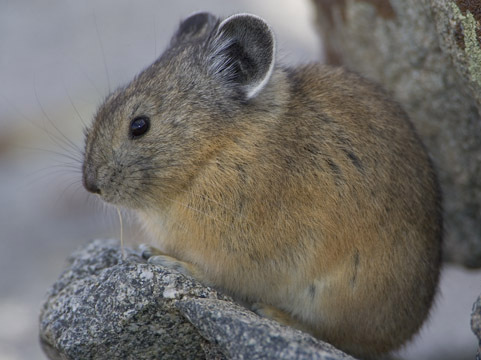 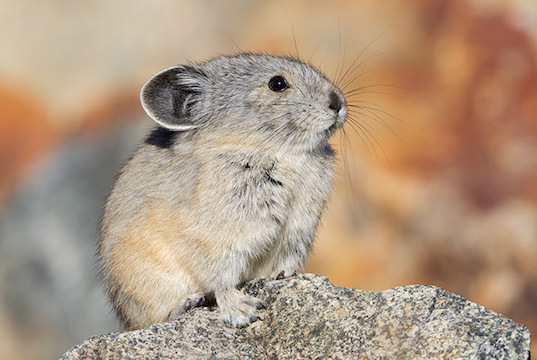 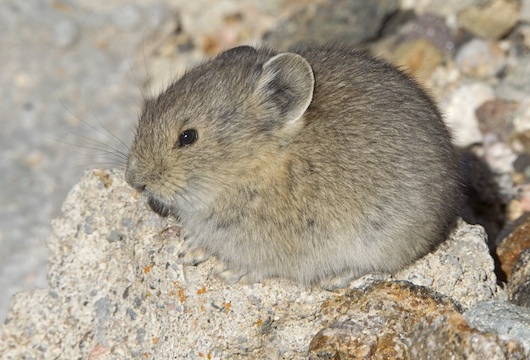 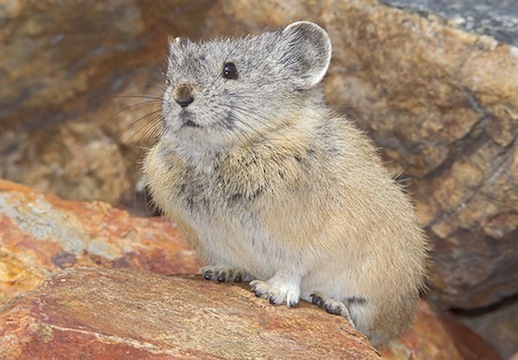 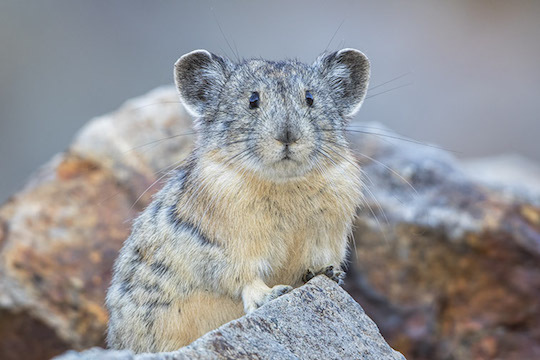 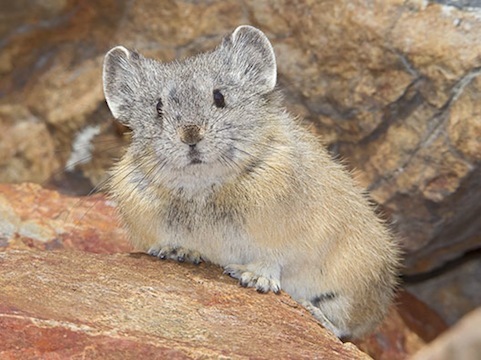 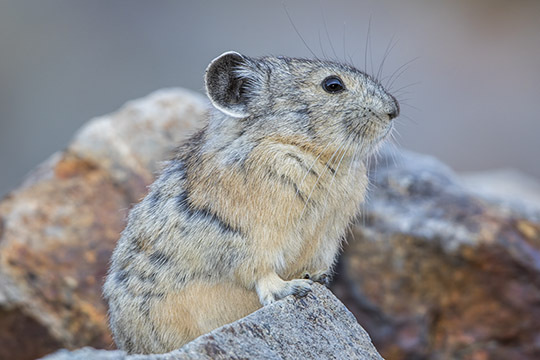 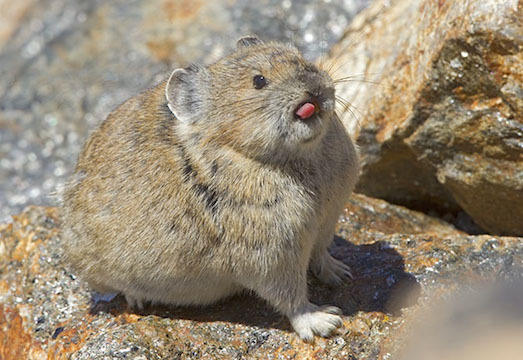 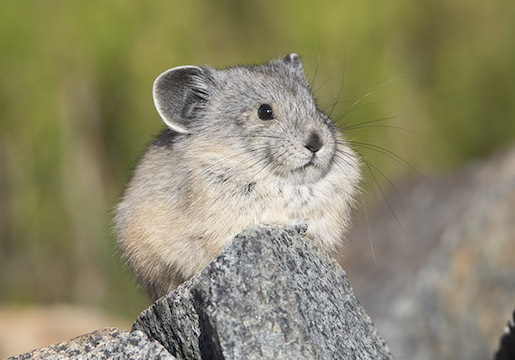 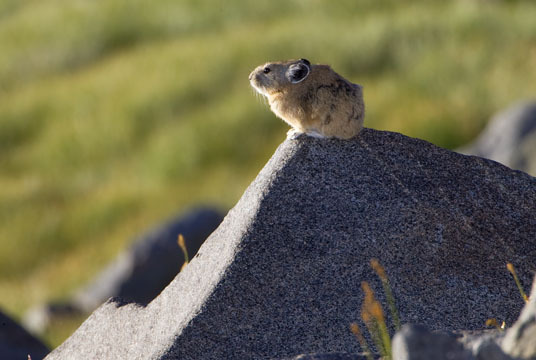 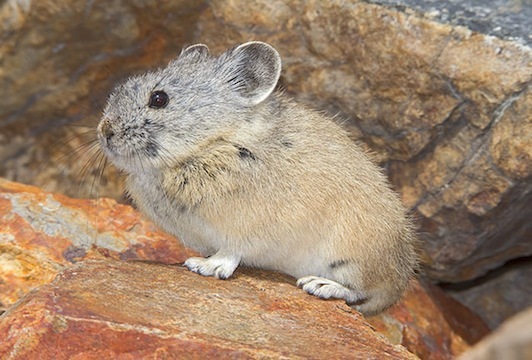 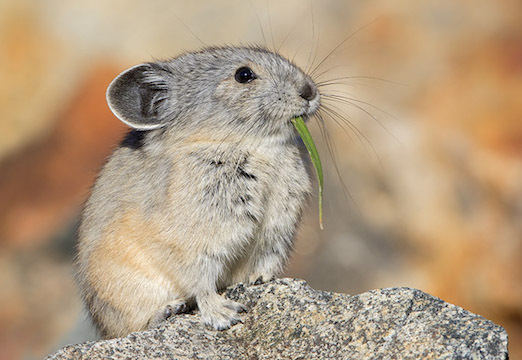 Pikas are strange little lagomorphs (relatives of rabbits and hares) that live in rocky areas and talus slopes in alpine habitats in much of the mountainous western US and Canada. 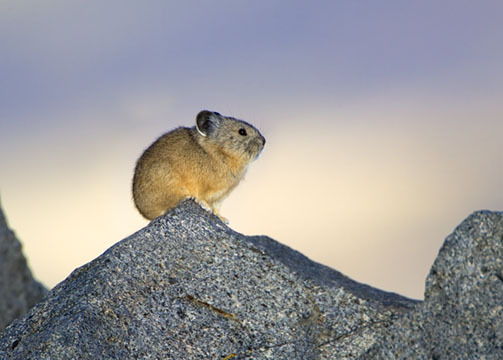 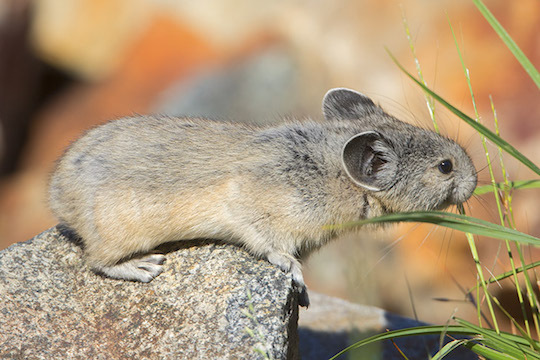 Unlike many small mammals from high altitudes, pikas do not hibernate or undergo daily torpor. 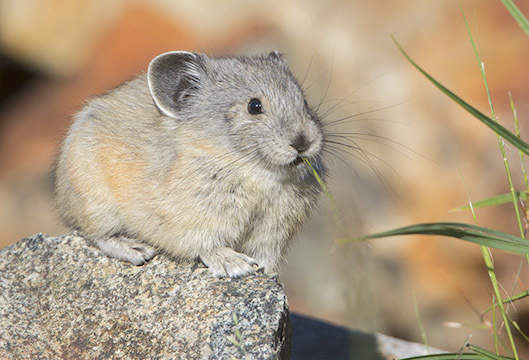 Instead, they gather and dry green vegetation during the summer, storing 'haystacks' of this material for food during the cold winter. 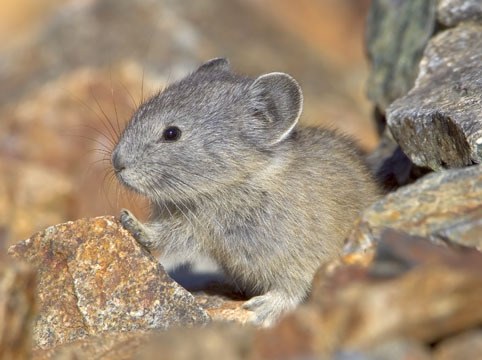 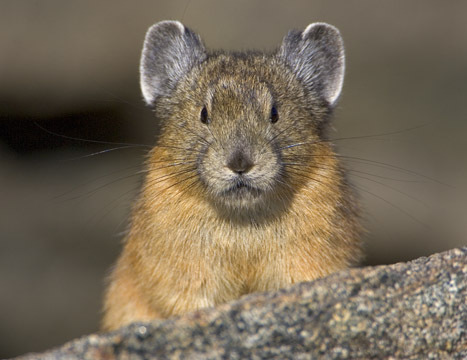 Many of these photos are of an unusually confiding pika that was watching me from an alpine rockpile near the Barcroft Laboratory in the White Mountains of eastern California, at about 3,600 m (more than 12,000 feet); other photos were taken near Saddlebag Lake just east of Yosemite, and in Rocky Mountain National Park, Colorado.